I'm often asked if a quit claim deed has the same "power" as a special warranty deed or warranty deed. The concern is that if a quit claim deed is obtained, that the new owner will somehow have "less than full ownership." This is not true. A quit claim deed, like the other deed types, transfers any and all interest in the subject property, from the person signing the deed (the grantor) to the person receiving the deed (grantee). -That the grantor actually even owns ANY of the property. You're simply getting whatever the grantor's interest is, if any, without any guarantees. A quitclaim deed is fine if you've determined on your own that the seller does indeed own the entire property (or that you have all sellers present who need to sign), and that the property is free of liens. This is often given by corporations and other entities, especially after getting a property back from a foreclosure. The corporation warrants that it has compete interest in the property and that there are no existing liens DURING THE TIME THEY OWNED IT ONLY. They do not guarantee the property in any way for the time before they purchased it. However, the title company will investigate title to its satisfaction and will not insure it unless it is clean. This is most often given in typical real estate transactions between two owners who are getting title insurance, and probably a mortgage on the property in the case of the buyer. The seller warrants the property against liens and incomplete ownership since the beginning of time. However, the seller's financial ability to make this warranty isn't typically an issue because of the title insurance being given. We get a quit claim deed when we give the seller a token payment to take over their unwanted property prior to the tax sale. Why? It's unreasonable for an owner to warrant the property for ANY amount with such a low payment. Many times the seller will even tell us about potential liens, so it would make no sense to give a warranty that there are no liens. We need to satisfy ourselves that we're getting the entire interest in the property, and that there are no liens, or the liens are known and acceptable. At this point, a quit claim deed is all that's necessary for us to take over. 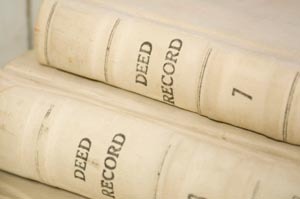 Are there any tax issues for either party to be aware of when using a Quit Claim Deed? This is highly dependent on each person's situation and should be run by an accountant if there is concern. I'm quite sure a quitclaim deed presents no additional tax issues than any other type of deed. I know that if the seller is making a profit on the property by deeding it to you, he could have to pay tax, and conversely if he is selling for a loss, he may be entitled to a deduction. The entire situation needs to be reviewed by an accountant, I cannot give this kind of advice and there is also not enough information. Thank you: what is the process (papper work) to sell a quit claim deed. To sell a property, you'll usually get with a title company and let them prepare all of that for you (or attorney if customary in your area) and give title insurance to your buyer. Thank you for the article. It precisely and succintly explains the differences between these two types of deeds. I own LLC, properties bought and deeded in the LLC name verses my name. I want to now deed the properties in my name. I am the sole member within the LLC. Should I quick claim, specialty warranty or warranty deed the properties in my name? This is an attorney question! As Rick correctly noted, transferring property from your LLC to yourself should be done after legal consultation. In Maryland, a transfer from an individual to their LLC (or vice-versa) will trigger transfer and recordation taxes unless certain exceptions apply and are duly noted by appropriate affidavit. This could be an unexpected hit of several thousand dollars so taking a moment to talk with an attorney to see if your situation can qualify for an exemption is wise! Depending on the situation and tax structure of your LLC it may also be wise to run by your accountant before liquidating the assets. Generally speaking, if one wants to own property in an LLC for liability protection it is wise to purchase in the LLC name. An attorney in the state where the property is located can give you specific advice on how to structure. I was offered to buy a land lot for 1 dollar by my realtor using a quitclaim deed. The land is in the back section of a home im about to buy but there is no access to that land except going over a creek. I don't really need that land but since the only access to it would be through my property I feel like I should do it just for a dollar. My questions? What would be best quitclaim or warranty deed? What are tax implications if this land is not really worth anything or how can I find out? Do I have to insurance this property? Do I get a title with a deed or I would have to do that later? Warranty deed is always better if offered. Tax implications are - you will have to start paying taxes on that land to keep it - see how much those taxes are. You should add the land to your insurance policy for your home which shouldn't increase the price much. Land doesn't come with a "title" - the deed puts you on title. Real estate doesn't have a "title" like a car does.